Pope John-Paul II visits Ireland..1979..29.09.1979..09.29.1979..29th September 1979..Today marked the historic arrival of Pope John-Paul II to Ireland. He is here on a three day visit to the country with a packed itinerary. He will celebrate mass today at a specially built altar in the Phoenix Park in Dublin. From Dublin he will travel to Drogheda by cavalcade. 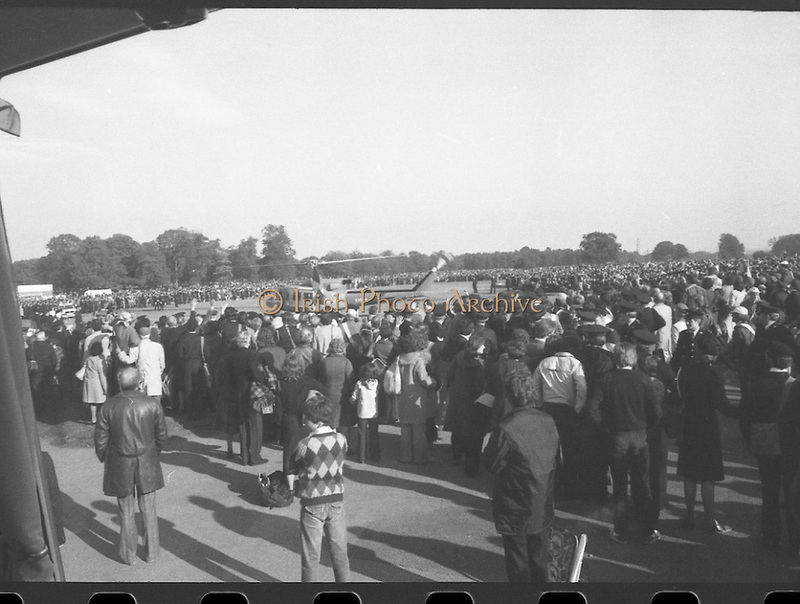 On the 30th he will host a youth rally in Galway and on the 1st Oct he will host a mass in Limerick prior to his departure from Shannon Airport to the U.S..The helicoptor landing signals the arrival of Pope John-Paul II to the park,Image shows the massed crowds in attendance.